Dwayne "The Rock" Johnson says the "Jumanji" remake will honor the late Robin Williams, who played Alan Parrish in the 1995 film. "An important thing that I want to be honest and bring up is Robin Williams," the actor wrote in an Instagram post. "The love and respect I have for this man is boundless. You have my word, we will honor his name and the character of 'Alan Parrish' will stand alone and be forever immortalized in the world of JUMANJI in an earnest and cool way. I have an idea of what to do and I think his family will be proud." Johnson also reminisced about a time he met Williams backstage at an event. "I also think Robin is somewhere lookin' down and laughing, remembering the first time we met backstage and I (for the first time ever) was a star struck bumbling idiot that couldn't even get my words out," he added. "Idiot. He literally calmed me down w/ that smile and laugh. But that's for another fun story down the road." 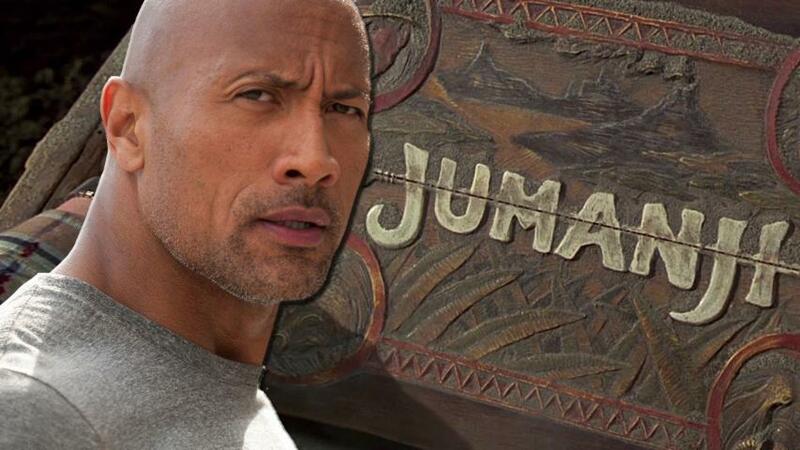 In his lengthy Instagram post, in which he revealed there will be five major lead roles instead of three, he gave a shoutout to director Jake Kasdan, producer Matt Tolmach and the production team, as well as "Jumanji" author Chris Van Allsburg. "I'm feelin' good and confident stepping into these shoes as a producer as well as actor to bring you something great that you and your entire fam can enjoy," added Johnson. Last month, the actor confirmed he will star in Hollywood's second crack at the children's book adaptation, which will be released on July 28, 2017. See The Rock's Instagram post below. Check out more from the legendary Robin Williams in the gallery below.